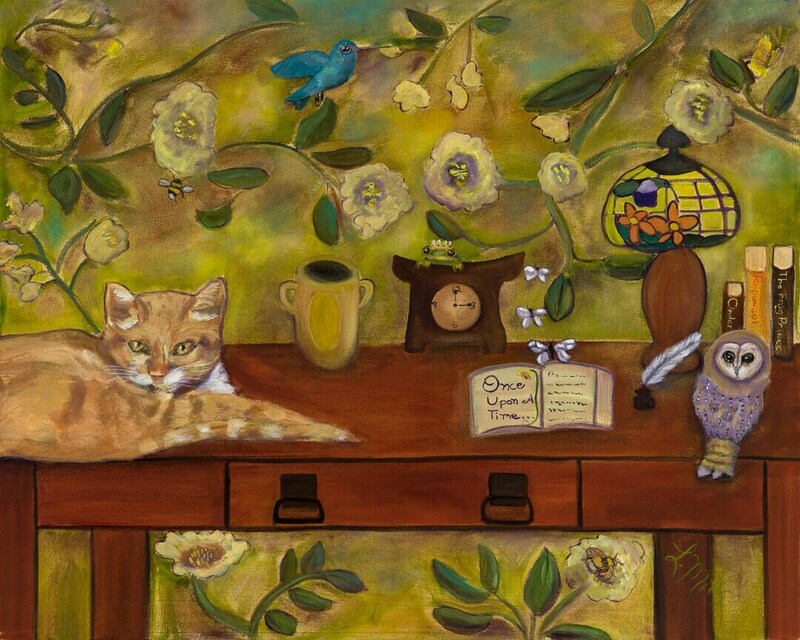 This is a charming and whimsical 24 x 30 painting of a writer's desk and the possibility of imagination. 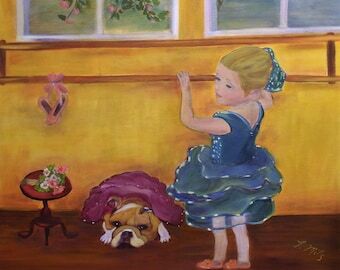 This oil painting was done on heavy duty gallery wrapped canvas with 1.5 inch sides. It has been painted on all sides and is ready for hanging. The painting has been varnished for long-term protection. Enjoy! All rights of reproduction stay with the artist. I LOVED my painted pots from Merlin's Gardens. Lesley did SUCH a wonderful job. I asked for an extra-large sized pot which she was able to accommodate and she explained to me the steps she would take in painting the pot since I told her it would be outdoors in a semi-covered area. The pots arrived in very quickly given that they were hand-painted, very quickly - and in excellent condition. She had packed them very meticulously for safe shipping and they arrived in perfect condition. I cannot wait to order more pots. These were for my business, but I may be ordering more for home. Very, very satisifed! Where do I begin... Lesley accomplished for me what I merely dreamed. Her work, her process, her communication entirely exceeded any expectations I could've possibly had. After the loss of my dear cat, Lesley breathed some new life into my memories. I could not recommend her more!m- may everyone be blessed with a painting by Lesley! Lesley is fantastic! 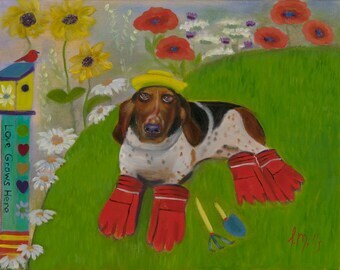 Not only does she do a wonderful job painting what you want, and capturing the beauty of your pet, but she goes beyond and above what is expected! I can't say enough, I will definitely utilize her talents in the future! She rocks! I accept Direct Payment, Paypal, personal checks and money orders. Checks must be cleared before I ship to customers. Most orders are packed and mail in 1-3 business days. If you are unsatisfied in any way with your purchase, you may return it to me for a full refund of the purchase price within 14 days following your receiving your product. Simply return it to me at your expense. All sales are final after the expiration of the 14 day period. I ship USPS with most items; however, I may ship UPS with larger works. Standard shipping is my primary method for shipping. Any upgrades to expedite shipping would be at an additional cost. Custom requests are welcomed. Simply convo me on Etsy to describe what you want, and include any images to provide details.